The world’s most famous detective, Sherlock Holmes is one of London’s most widely known characters. While Holmes’ early life is something of a mystery, it is known that he lived at his most famous address, 221B Baker Street, from 1881 until his retirement in the early 1900s (when he moved to Sussex and took up beekeeping). It was from there that he lived and worked along with his colleague, Dr John H. Watson (Dr Watson lived with Holmes at the address both prior to his marriage and following his wife’s death). Baker Street is these days home to the Sherlock Holmes Museum where the rooms have been reconstructed as they would have been in Holmes’ day – including his famous study where you can sit in his chair by the fire – and filled with artefacts from his many cases (there is however some confusion over the address as the current location of 221B Baker Street is located in what was, prior to the 1930s, known as Upper Baker Street). 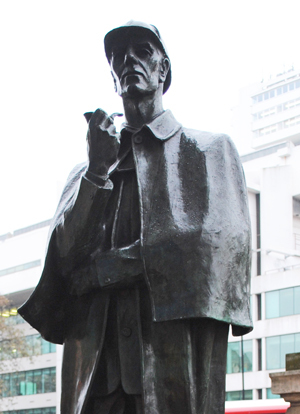 Nearby – just out the front of the Baker Street tube station – stands a statue of Holmes, commissioned by the Sherlock Holmes Society in 1999 and sculpted by John Doubleday (see picture). • and, The Royal Opera House in Covent Garden – one of Holmes’ favorite ways to pass the time. 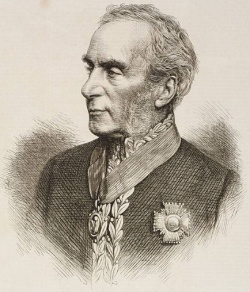 Holmes’ contribution to the art of detection has rippled across the globe and following the first recounting of his exploits in the 1887 book A Study in Scarlet, his deeds have provided the inspiration for countless books, films, and TV series.